Claims to be a 3 in 1 BB Cream that (Perfect coverage) covers blemishes perfectly while looking natural , (Perfect on your skin) Contain Rosemary extract and Camomile extract to calm your skin, Gatuline RC with skin resilience extract (extracted from beach bud), moisturizing ingredient such as the hydruluronic acid, and the ceramide to let your skin moisturize and comfortable. (Excellent UV Screening Effect) SPF 42 PA +++ that make it easier for you because you don't have to apply sunblock anymore. There is no halal JAKIM certification for this product but this product have been sold in United Arab Emirates. Missha strictly against animal testing for product development. You can read more here. Packaging: Comes in a tube like packaging with a pump nozzle. Its hygienic and easy to control. The pump serve no problem to me, 1 pump is enough for my whole face. Travel friendly too, no fragile like glass material use in this packaging. Texture/How it feels when applied: The product is more of a creamy texture too it, a lil thick when swatch but smoothly absorb when blend in. I use my hands to apply this product. Rub it in my hand to warm it up and apply it after using my favorite moisturizer. Pigmentation/Coverage: Sheer-Medium Coverage. Like most BB Creams, it looks grayish but in a few minutes it tends to blends naturally in your skin. Does not really cover my red spots, but even out my skin tone naturally. Scent: I don't know how to describe the smell, but no worries, there is a nice fragrant scent in it but not too overpowering of have this kinda funny scent to it. Ease of Use: Easy to use, easy to blend and does not require much blending to work this product on the skin. I love this BB Cream and glad it work out as I wish. I have been wanted to try this BB cream from a very very long time. I first heard it from most Asian YouTube Beauty Guru especial Style Suzi if I am not mistake ut dont know whre I can find Missha BB Cream in Malaysia. So if you are looking for a nice natural finish BB Cream, you should really try this! I've heard Jen loves this bb cream too but her skin is perfection imo. For someone with very oily skin, i don't know if this will work for me because I've tried the famous Skin 79 bb cream too but it didn't work for me. :/ Yet to try it with a primer. Thanks for this review. It was really helpful. 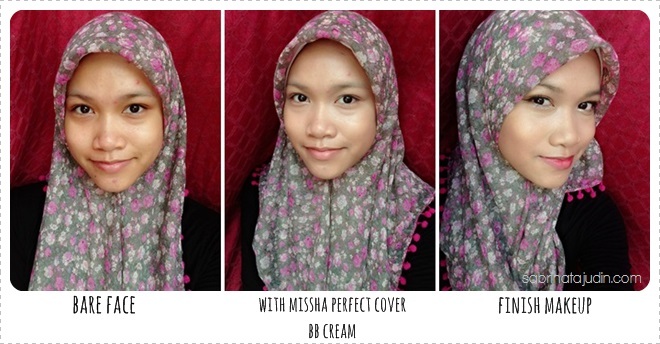 You could give The Face Shop “Face it” Magic Cover BB Cream a try. I’ve been using it for three years and it's really worth it! Anyway, I ordered a missha perfect cover bb cream online since it received such a positive review. Thank you!! macam mana nak beli cream ni ?